I’m pleased to announce that I have been commissioned to create an artistic intervention at the Nene Valley Sculpture Park in August of this year. The Nene Valley Park itself is a lovely area of water, woods and fields that plays host to a variety of activities including dog walking, fishing, rowing, running, cycling and sailing to name but a few, let alone being a great space to simply wander round. 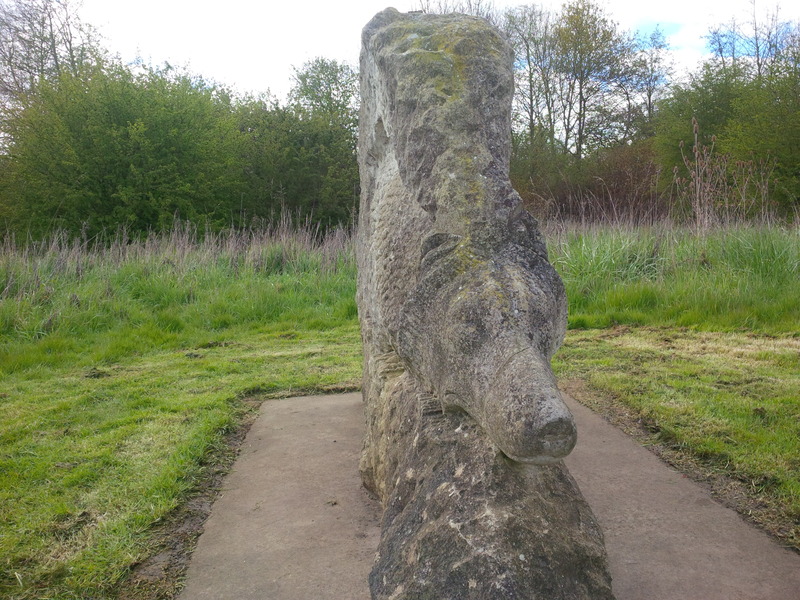 The sculptures themselves occupy Thorpe Meadows, an area close to the city of Peterborough, accesed simply by following the river Nene upstream. 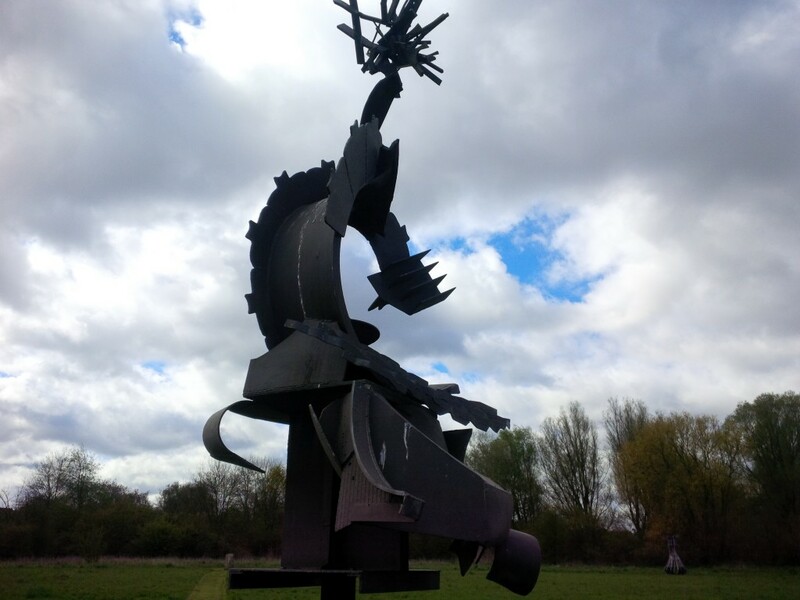 The majority of the pieces were originally purchased by the Peterborough Development Corporation which then set up the Peterborough Sculpture Trust in 1988 to manage the collection, incidentally which includes a Gormly and a Caro. 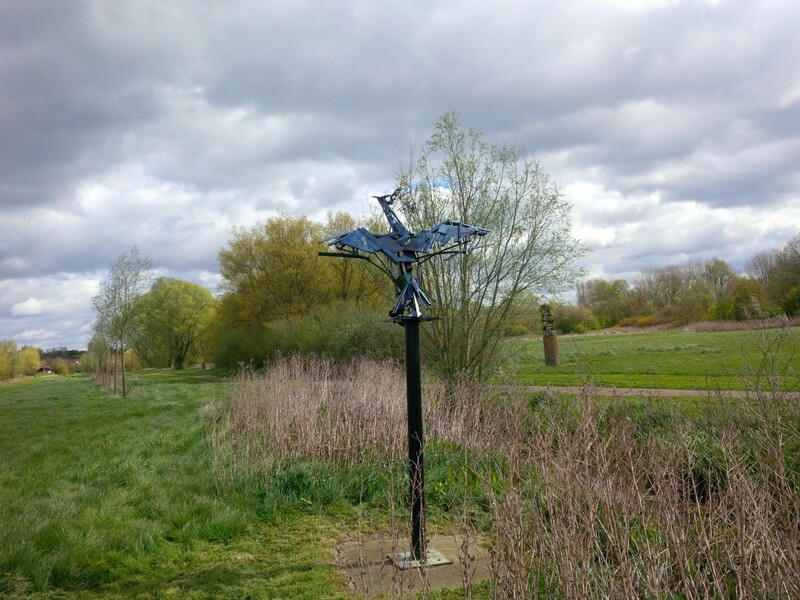 More sculptures were commissioned by the Trust in the following years and many were relocated from outlying towns to the Nene Valley Park where they now stand, mostly in Thorpe Meadows. As part of a strategy to reinvigorate the sculpture park and re-engage the attention of the people of Peterborough towards this quite extensive collection, Vivacity, the not-so-long-ago outspun Entertainment, Culture and Leisure capability of Peterborough City Council, has awarded a series of arts commissions to be (mostly) realised at a weekend event it is organising to take place 20th/21st of August. The ‘Myths and Mini Beasts’ family friendly weekend will certainly help to pull in local families of the area. 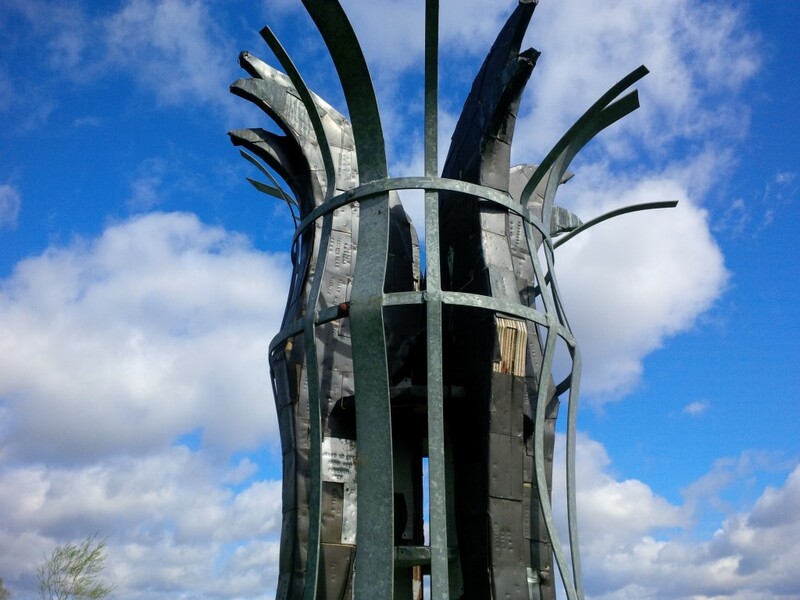 But I think each of the five commissioned artists probably hopes to develop a more artistically interesting outcome and somehow create a more profound connection between the people of Peterborough and their semi-forgotton sculpture collection. Rich White, Lyndall Phelps, Kevin Green of Store Projects and Scottee.